Have you ever noticed that kids repeat things, days later, when you think they forgot about it? Researchers have discovered that kids can remember information better days after they initially learned it, than they can on the day they actually learned the material. This is in contrast to adults, whose memories tend to fade over time. 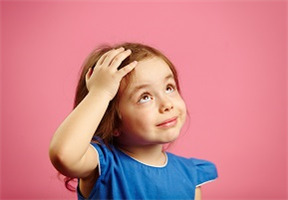 The study,published in the journal Psychological Science, found that two cognitive phenomena occur simultaneously: “extreme forgetting” (when kids learn two things in rapid succession, with the second thing causing them to forget the first thing), and “delayed remembering” (recalling the forgotten information days later). When children get multiple pieces of similar information at the same time, the different pieces compete with each other, causing a deficit in memory. When there is a delay, this competition is erased, and their memories improve over time. The study found that of the 4 and 5 year olds who played a computer game that dealt with associations between objects, those who re-played the game 2 days later scored more than 20 percent higher than those kids who re-played the game later that same day. Let your nieces and nephews take some time to absorb new information. If you’re helping them with homework, this is why it’s important to go over old material from before. It may seem counter-intuitive, but give new material time to sink in – it might surprise you! Ohio State University. "'Delayed remembering': Kids can remember tomorrow what they forgot today." ScienceDaily. (accessed September 29, 2015). Home Expertise Kids Don't Forget; They Just Remember Later!